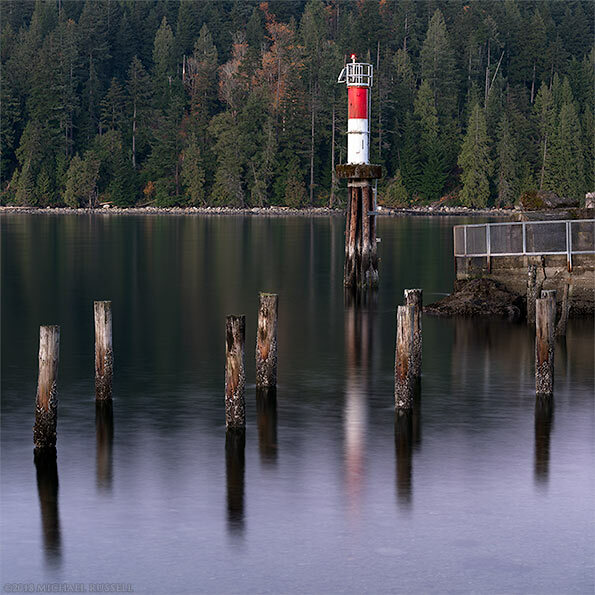 A small lighthouse at Barnet Marine Park on Burrard Inlet in Burnaby, British Columbia, Canada. Barnet Marine Park is situated along Burrard Inlet along the north end of Burnaby Mountain in Burnaby, BC. 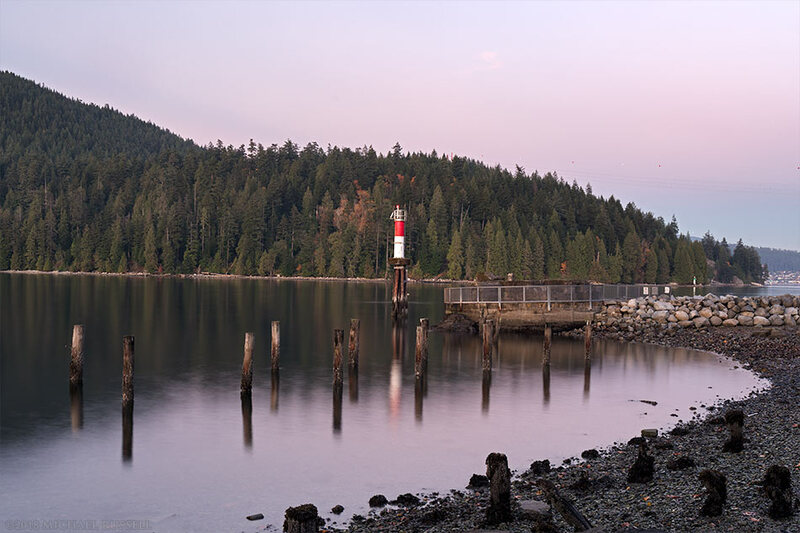 This was my final stop of the day back in October, where I’d previously visited Sasamat Lake and Rocky Point Park hunting fall foliage. The cement structure between the lighthouse and the shore is the remains of an old scrap burner that was used for a lumber mill that was on this site until 1958. This spot is one I have visited for over 20 years, and I always enjoy the walk along the shoreline even if the light isn’t photo worthy. This is a great place to view wildlife (seals, crabs, herons etc.) as well as a wide variety of passing boats. You can view more of my photography from this area in my City of Burnaby Gallery.